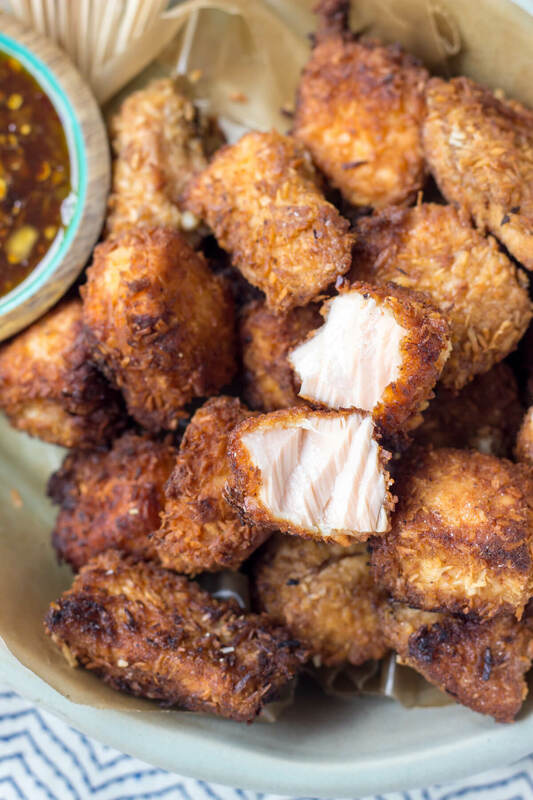 These Coconut Salmon Bites are crunchy on the outside, moist on the inside with a bit of coconut punch. Serve them with sweet chili or your choice of dip. Perfect appetizer or game snack.